Remember the Pixel Scrapper October Blogtrain? I had so much fun making these sarcastic quote bubbles for the ‘That Teenage Life’ theme. Let’s see what you come up with! 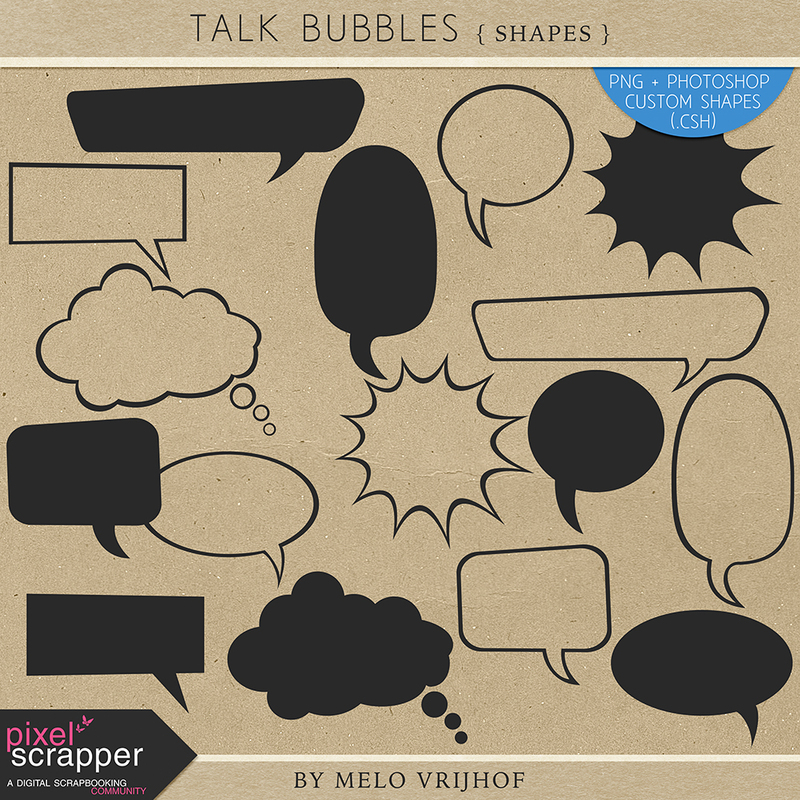 This set of Photoshop Custom Shapes (.CSH) is filled with vector-based talk bubbles – so you can make them as big or small as you like. For those of you who don’t know how to use a .CSH-file an Installation Guide is included. Does your program not support .CSH? Now worries, I’ve also added the (pretty huge) PNG-files!